The 9th King's lineage can be traced through the earlier Volunteers. The majority of the Volunteer units were riflemen, but there were also artillery, engineer and cavalry (light horse) formations. Members of the Volunteer Force were exempt from service in both the regular Army and the Militia. The basic unit was a company whose minimum and maximum strengths were authorised at 60 and 100 men respectively. The companies were initially independent and lacked co-ordination. In 1860 the War Office authorised 'consolidated battalions' (or brigades in the case of the artillery) whereby several companies from a town or city became a larger unit. Later that year 'administrative battalions' were created. These drew companies together, usually from the rural districts, which had not already been consolidated into battalions. In the 1880 Army reforms the remaining administrative battalions were consolidated and the surviving small corps were merged into existing battalions. It is possible to trace the origins of the 9th Battalion of the King's Liverpool Regiment (Territorial Force), formed in 1908, back to a number of these Volunteer units. The 13th Lancashire Rifle Volunteers (LRV) - raised at Southport in October, 1859, the 13th was attached to the 1st Rifle Volunteers for drills and administration. 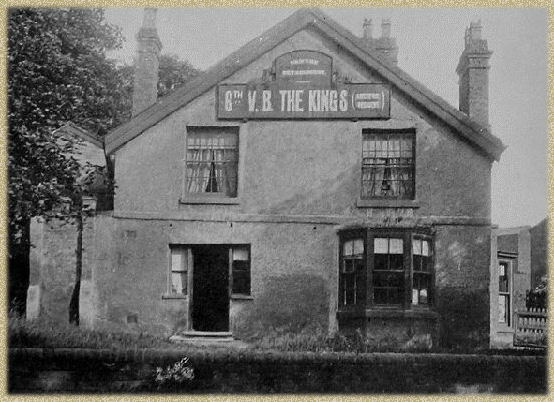 The 13th LRV amalgamated with the 54th Rifle Volunteers in 1880 and the resulting unit, retaining the senior title became, in 1888, the 3rd Volunteer Battalion, The King's (Liverpool Regiment). It was disbanded in 1908. The 54th Lancashire Rifle Volunteers (LRV) had been raised in Ormskirk on 15th March, 1860 and was attached to the 1st Admin Battalion in 1863. In 1908, on the formation of the Territorial Force, the two Ormskirk companies became companies of the new 9th Battalion, TF. The 80th Lancashire Rifle Volunteers (LRV) was raised from members of the Liverpool newspaper and printing trades on 8th January, 1861. The 80th assumed the additional title, The Liverpool Press Guard, in 1862 and absorbed the 73rd LRV in 1863. The 73rd had been raised at Newton in June 1860. The 80th was renumbered 19th LRV in 1880 and in 1888 it was designated the 6th Volunteer Battalion, The King's (Liverpool Regiment). On the formation of the Territorial Force in 1908, the 6th VB provided the majority of the personnel to form the 9th Battalion (TF). The Old Orderly Room, Southworth Road. The Volunteer movement was a social as much as a military organisation. 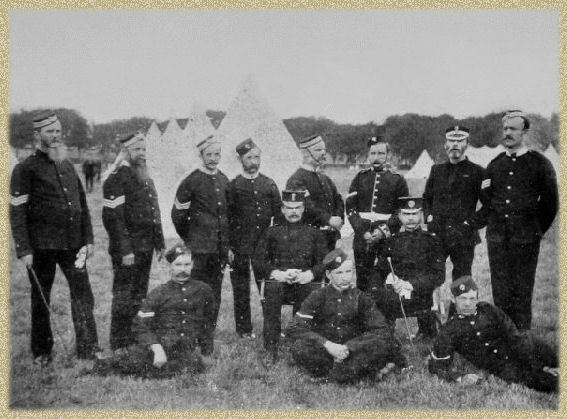 Traditionally the regular army had been the preserve of the upper classes (officers) and the working class (other ranks). There had been no real place in the army for the growing middle class and the Volunteer movement reflected the middle classes desire to be seen to be patriotic in the face of a perceived threat of invasion by the French. During the inevitable reorganisations that took place when the Volunteers were disbanded and the Territorial Force was formed, one of the major changes affecting the existing 6th Volunteer Battalion was that the Newton Company left to join the new 4th(TF) Battalion, South Lancashire Regiment, being replaced by the Ormskirk companies from the former 3rd Volunteer Battalion. 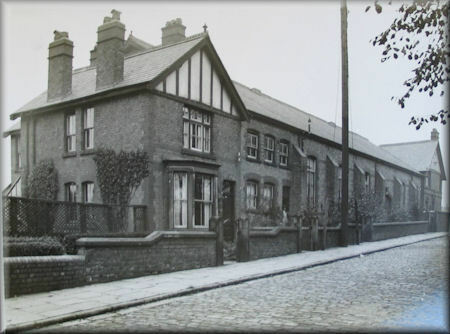 The traditional recruiting area of the Battalion was the Everton district of Liverpool and, from 1908, the market town of Ormskirk and its surrounding rural villages. 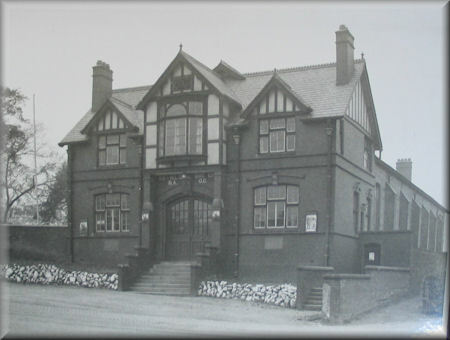 From 1884 the Battalion Headquarters was at 59, Everton Road, Liverpool whilst the Ormskirk detachment was based at the Drill Hall, Ormskirk, adjacent to the Parish Church. 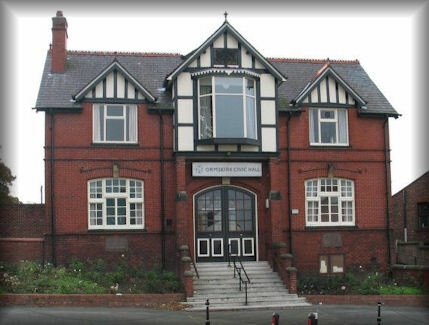 Ormskirk Civic Hall, formerly known as the Drill Hall (photographed in 2003).